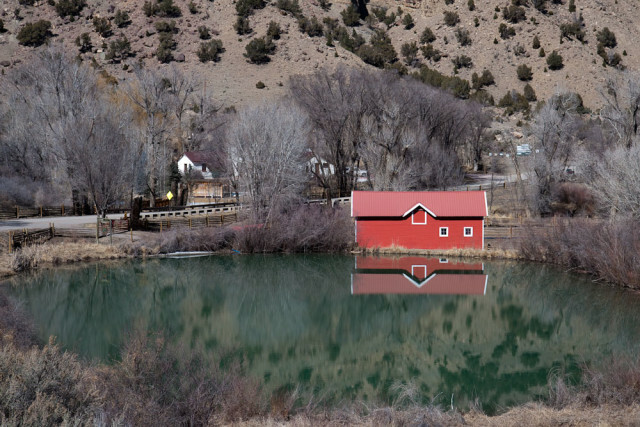 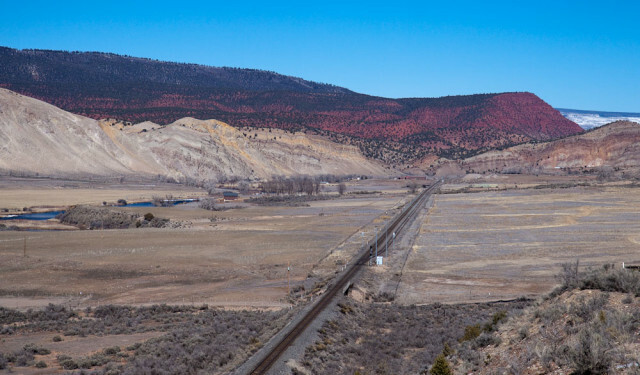 The following day, on the way back home, I followed the route of the Moffat Subdivision rail line along the Colorado River. 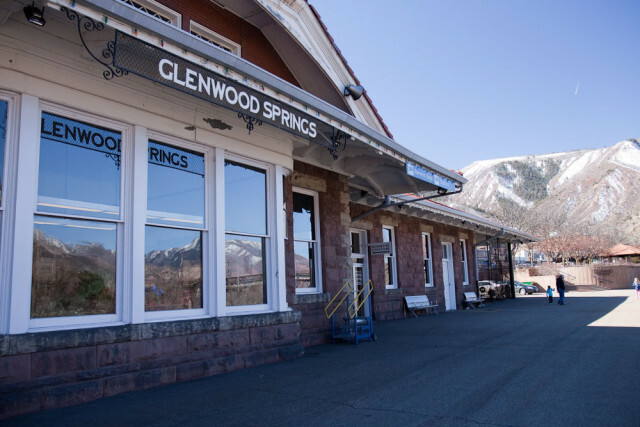 Train Station, Glenwood Springs, Colorado. 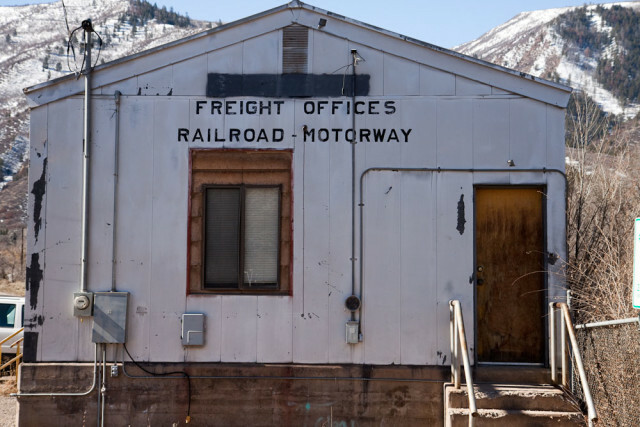 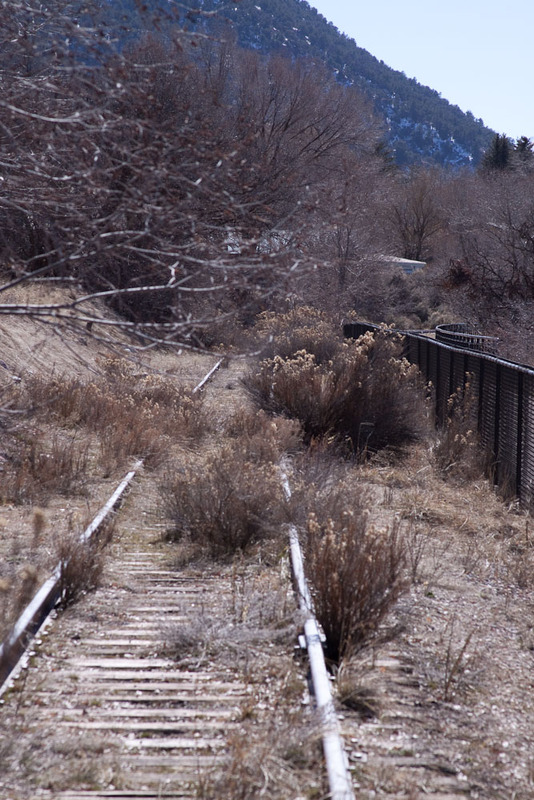 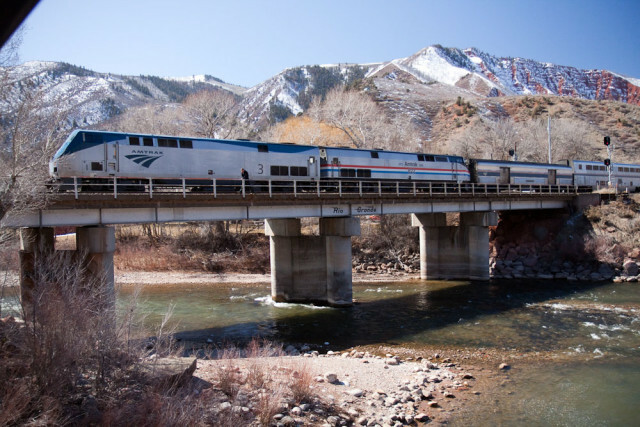 The old Denver and Rio Grande rail line to Aspen, Colorado. Califorina Zephyr (No. 6) crossing over the Roaring Fork River. 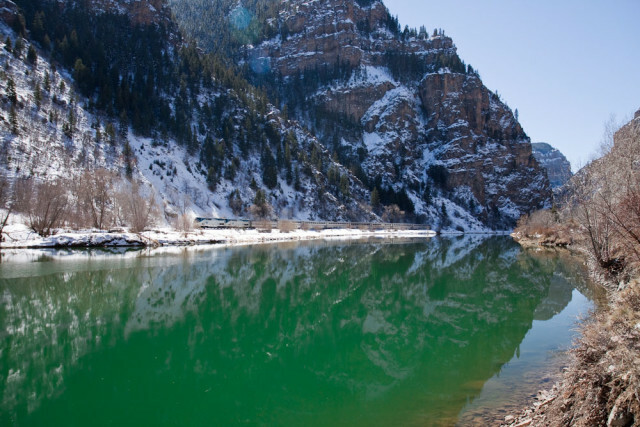 The Zephyr, Glenwood Canyon and the Colorado River. 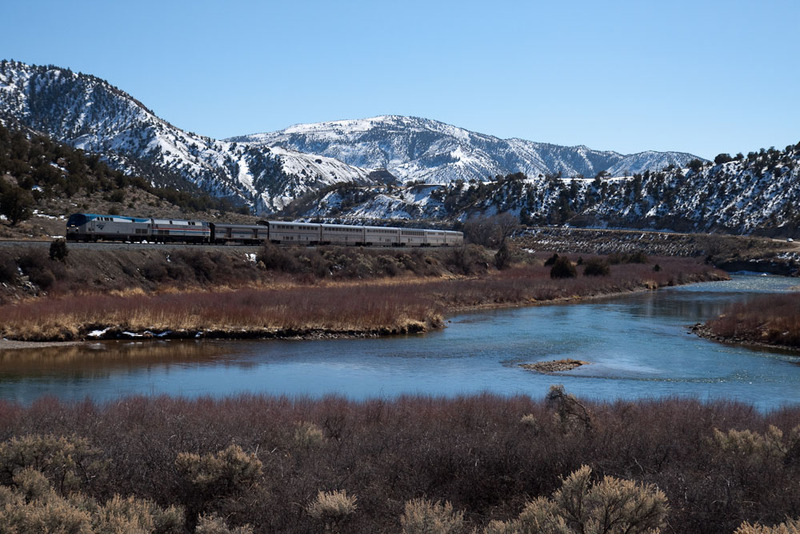 Heading upstream along the Colorado River into a dryer landscape. Colors: blue river, beige valley, red mountains, snow capped divide.